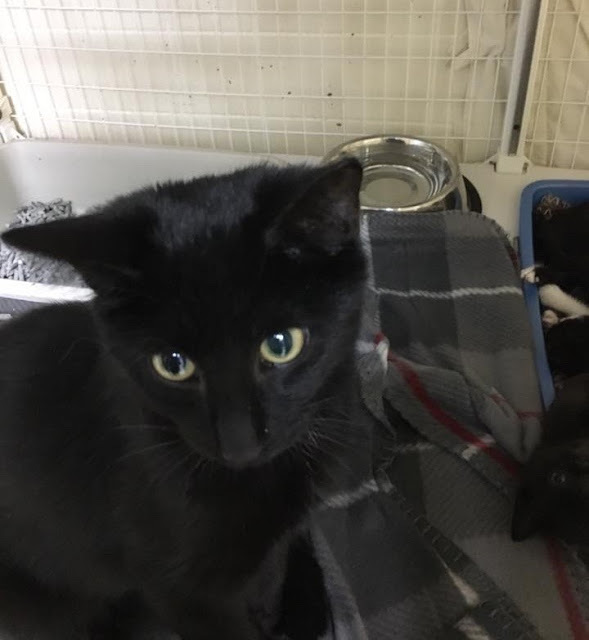 A litter of abandoned kittens were found in a recycling bin on a curb, huddling together with a cat whom rescuers assumed was their mom. The “mom” cat was right by their side, snuggling them and keeping them warm in the freezing weather. 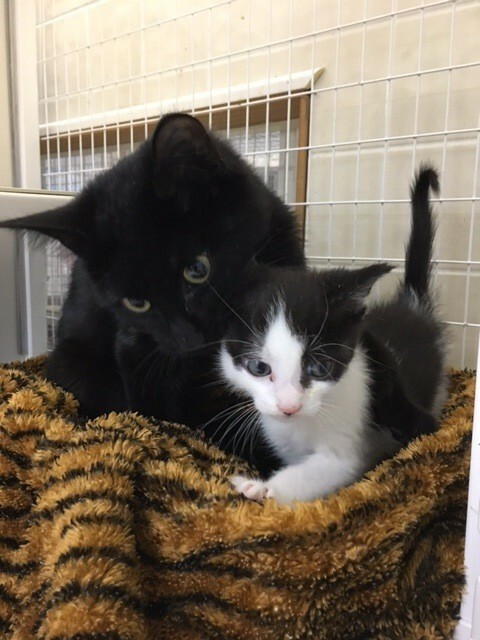 The person who found the kittens immediately called Homeless Animal Adoption League, a rescue in Bloomfield, New Jersey. 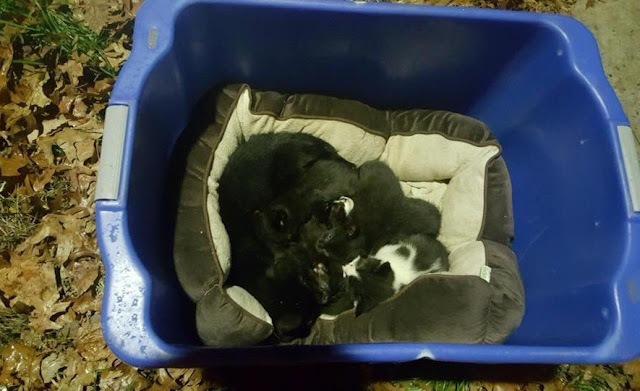 The caller was walking home when he discovered them, and he feared the kittens would freeze to death. It had also started to rain, so he knew he had to get them help right away. It’s unknown how the kittens got there, but they seemed to be placed there by someone. They covered the container with a blanket and brought them back to their shelter. The cats all looked very healthy with no infections or cold. They also had no problems eating on their own. Initially they thought there were four kittens, but they were surprised to find out that there were actually six! But that wasn’t the only surprise they got. 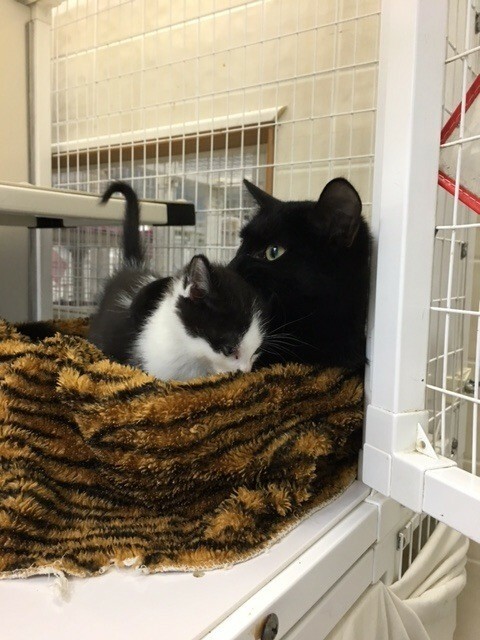 The cat whom they assumed was their mother, turned out not to be a mom at all. She was actually a he! The cat taking care of the babies was a male! It’s unknown if the cat is the dad or big brother from another litter or just another cat, but to those kitties he’s their surrogate mom and protector. He did such a great job taking care of them, grooming them and playing with them. The shelter named him Mrs. Doubtfire. 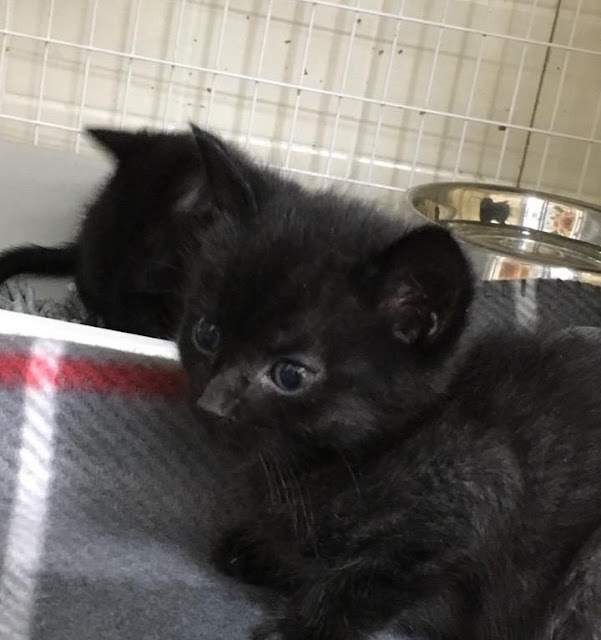 Both he and the kittens will be up for adoption soon, and we can only hope that they all find the loving homes that they deserve!